When autumn rolls around, there's nothing I like better than getting out all my chunky knits and soft woollen blankets in preparation for the cooler days ahead. But why stop there when you can add that snug feel to your home as well? Click through for 12 super cosy textile projects for fall and winter. Isn't this the most inviting wall hanging you ever did see? (via Sugar and Cloth). 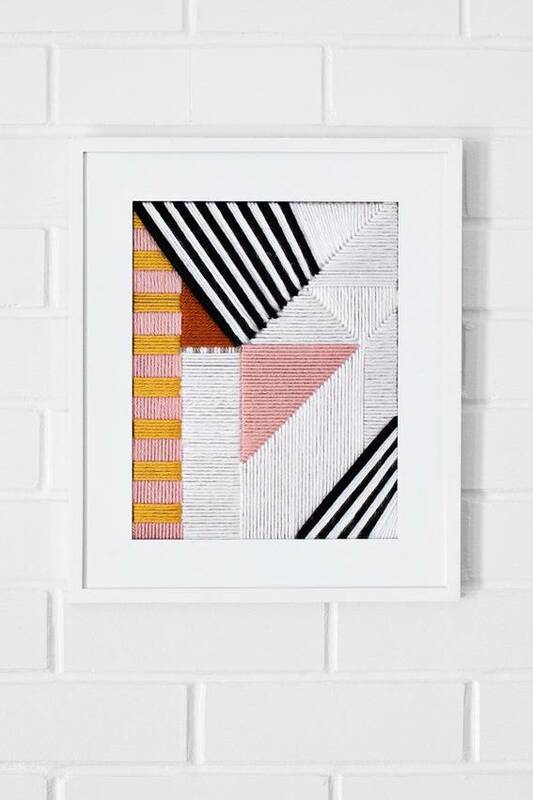 Even wall art looks good all done up in yarn (via A Beautiful Mess). 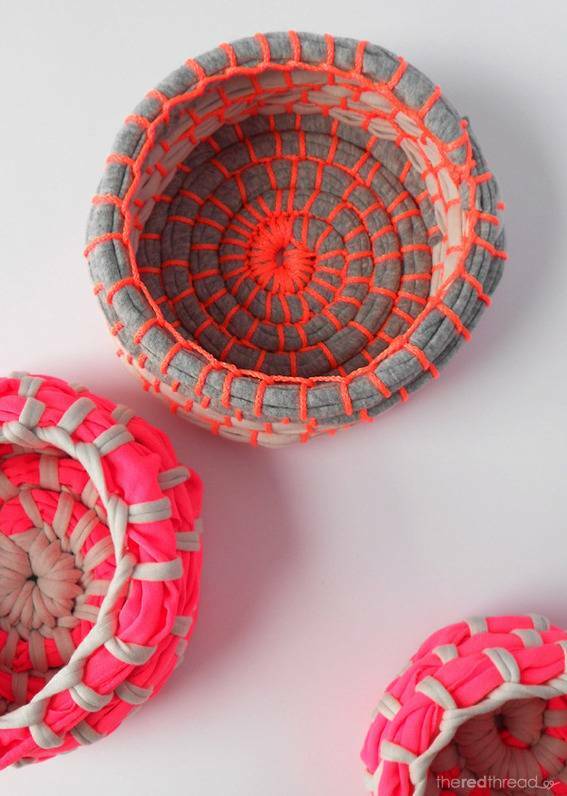 Make yourself some stylish textile storage with these neon fabric coil bowls (via We Are Scout). Add a little woollen warmth to your lights with this colourful bohemian pendant DIY (via Love Maegan). Brighten up your table with this colourful yarn table runner (via Pretty Prudent). 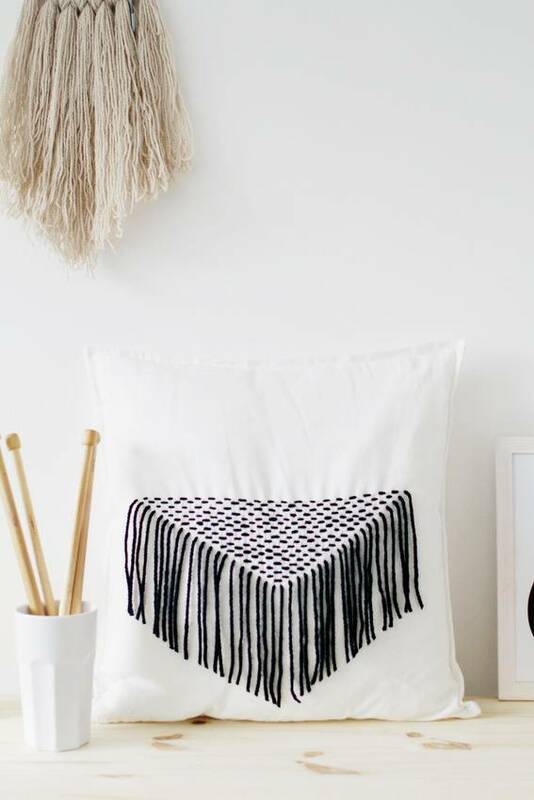 These yarn wall hangings are stylish, modern and perfect for fall (via Homey Oh My). Nothing says comfort like a cosy woven rug (via A Beautiful Mess). Your plants will certainly be ready for the colder weather with these yarn hanging plant holders (via Fall for DIY). Bathroom storage needn't be plain or boring - try dressing up your baskets in pom poms for an instant facelift! (via Home Edit). Make these stitched coasters to go with all those hot cups of tea you'll be drinking over the cooler months (via Blitsy). Nothing's too small for a little yarn makeover - even keys are fair game! (via Creme de la Craft).